Star Wars: Galactic Battlegrounds takes the Star Wars franchise into the RTS game genre. 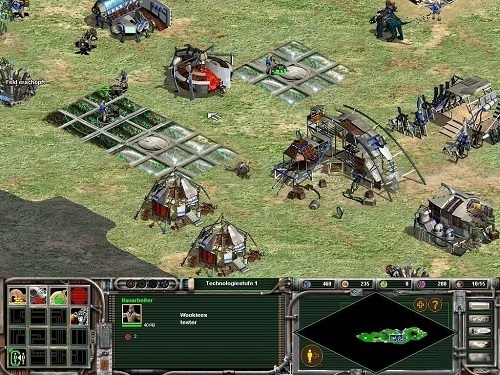 The game uses the same engine as Age of Empires (1 and 2) so it has a very AoE style feel to its gameplay. 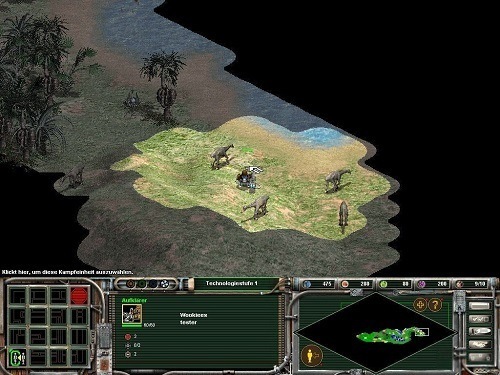 It was released in 2001 with an expansion (Clone Campaigns) being released a year later, adding two new factions and campaigns. The original game lets you take control of several factions including the Rebels, the Empire, the Gungans, the Wookies, the Trade Federation and the Royal Nabbo. Every faction has their own campaign except for the Royal Nabbo so there is plenty of campaign action to enjoy (especially for Star Wars fans). Gameplay wise you’ll find an experience very similar to other games in the real time strategy genre. Players will have to find and extract the resources available in the game (food, carbon, nova crystals and ore) to create their buildings and eventually their army. The game features four different tech levels for players to advance through with each new age requiring larger amounts of the rarer resources to unlock. The gameplay is pretty standard and definitely not going to blow anybody away but it’s well designed and the integration with the Star Wars universe is impressive. The game lets you battle it out across land, air and sea battles on a number of planets and combining all of the factions together gives you well over 300 units and structures so there is no shortage of strategy to explore. All the games technologies are well derived from the Star Wars franchise and will have you running around with invisible Jedis and all manners of strange futuristic technology. Fans of both the Star Wars universe and Age of Empires II will find plenty to love in this game as it combines the two very closely together (almost too closely). Made with the same engine as Age of Empires and AoE II. Huge faction list with their own units and structures. Very futuristic list of technologies to research and use. Air, sea and land battles on numerous planets. Plenty of appeal to Star Wars fans.